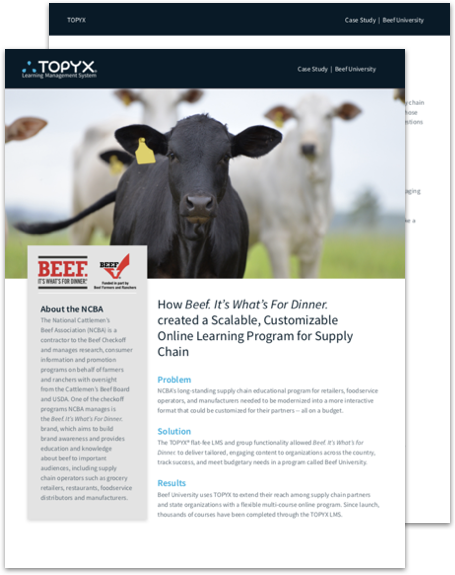 The National Cattlemen's Beef Association (NCBA), a contractor to The Beef Checkoff, is the marketing organization responsible for managing the "Beef. It’s What’s for Dinner." brand and trade association for America's one million cattle farmers and ranchers. NCBA’s long-standing educational program needed to be modernized into a more interactive format that could be customized for their partners -- all on a budget. Discover how the NCBA deliver tailored and engaging content to organizations across the country, was able to track success, and meet budgetary needs.